Join us in celebrating GNOME’s birthday this Saturday, August 15th. This is a great chance to tell the world why you love GNOME, inspire others to give it a try, give back to the community, and just wish GNOME a happy birthday. Tell people why you love GNOME or how long you’ve been using or been a part of GNOME. Share our current release video so people know what you’re talking about. 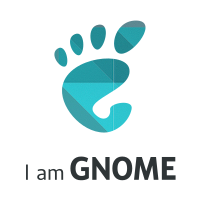 Post the “I am GNOME” badge or use it as your profile picture. And remember to tag your posts using #HappyBirthdayGnome #IAMGNOME #GNOME2015. If you know someone who contributes to GNOME, send them a thank you. It’s always nice to know you’re appreciated. You can also adopt a hacker or become a friend of GNOME. Wear or show your favorite SWAG, and see if you can get someone to ask you about GNOME. Post a selfie wearing your gear and use the hashtags above so people can see faces from our community. Say hi to others wearing the gear, and meet other GNOMEies! Let’s show the world how we rally, and that we’re a great community to be part of.